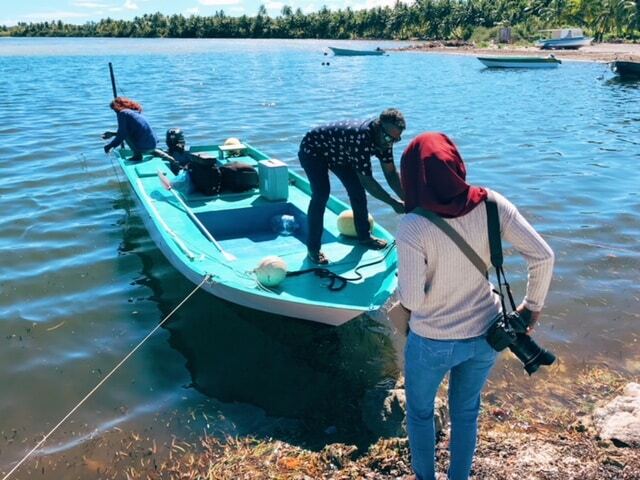 We left Kunahandhoo a little later than planned this morning, missing the ferry to finish gathering info for another story. But, there’s always a plan B out here – especially when the next island is only a few hundred metres away. Our friends were heading across the reef to donate blood, so we hopped on a dinghy with them. (Plan C was to roll up our trousers and walk). This is our second Hithadhoo of the trip, if you count our home island in Addu as number one…and if you don’t count the uninhabited one in Gaafu Alif with the frigate birds and the extra ‘a’. 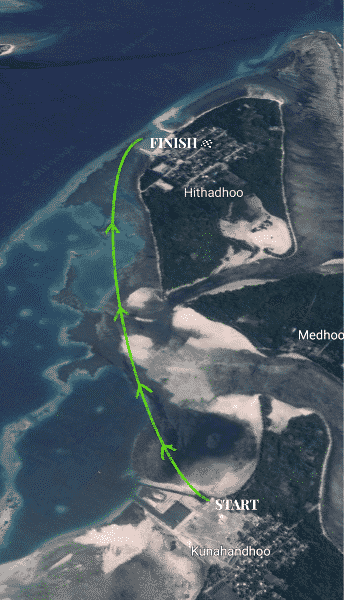 So, a short trip for a short stay on our penultimate island… but we’ve heard big things about Laamu Hithadhoo.